Michael Jackson: The Experience could and should have been the dance game to end all dance games. Michael Jackson is one of the greatest movers the world has ever seen. He’s created some of the best dance videos and has sung some of the most recognisable songs in the history of music. We’ve also already seen just how well Kinect complements the dance/rhythm genre perfectly with the brilliant Dance Central, so we know that dance games on Xbox 360 can be great. Combine the technology of Kinect with the iconic dance moves of one of most famous pop stars of all time and you should have the perfect recipe for an incredible dance game. Sadly, that’s not exactly how it’s turned out. 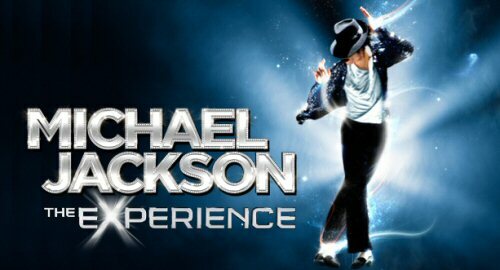 While Michael Jackson: The Experience is probably going to provide a lot of fun and entertainment for anyone who admires the singer and loves his music, the overall lack of substance and presentation values - not to mention the many questions it raises over how accurately Kinect rates your performance - proves to be quite a disappointment. At first glance though, there seems a lot to get you up on our feet. Fans will love the 30 songs on the disc, which range from Bad classics like 'Smooth Criminal' and 'Speed Demon' to tunes from Thriller, such as ''Billie Jean' and 'The Way You Make Me Feel.' With such a great soundtrack that spans over a few decades, the opportunity was here for the developer to take an approach similar to The Beatles Rock Band and tell the story of Jacko through his music with a stylish career mode full of videos and clips off the performer. As it stands though, you simply choose a song and dance to it. There are small clips of original videos that run in the background, but largely you’ll be dancing in a variety of loosely-MJ-themed arenas while other dancers, dressed in various get-ups (including zombies) dance around you. While the interface is slick, requiring you to intuitively move your hands around the screen to choose options, the cue cards for getting your dance moves are anything but. A silhouette of a dancer scrolls down the screen showing you where you need to move your arms and legs, but the pictures are not clearly defined. So, if you don’t learn dance moves off by heart, or know them already, there’s a fair amount of squinting at the screen to work out what you need to do next.